Let me ask you a question, when was the last time you really listened? A time when your whole being was attentive, taking in all the sounds without judgment and comparison. Just sitting somewhere and being very silent, not having your attention fixed to anything in particular, just relaxed with a very calm and quiet mind. If you can listen with out effort, just being in a passive yet alert sensitive state, pay close attention and you will see something beautiful taking place. Listening like this can lead to an inner transformation that gives you insight and direct perception into the here and now. If you are like most of us, effective listening, is an art that is infrequently practiced. The reality is that when most people listen they are simply listening through their own mental projections, taking what is being heard and molded to suit their own beliefs and prejudices. Can listening in this way really give you a meaningful understanding into what the other person is saying? Listening at this level is very superficial, words can easily be distorted, and the message the speaker is trying to convey is beyond the words they are using. To really listen effectively and lovingly is to be in a place of utter silence, having a very quiet mind. You simply can’t just tell your mind, “hey be quiet!!”. This state of mind cannot be reached through effort. Effort simply creates inner conflict and a mind in conflict will not be totally available to the experience of intense listening. To have a calm and centered mind requires great awareness. This awareness can only be cultivated through self knowledge. If you don’t understand yourself at a deep level, how can you cultivate something which cannot be given to you? When you understand how your mind works and you are able to observe it with out judgment or trying to distort your thoughts, you will see that the mind will become quiet on its own accord. A mind that lives in comparison is never in reality; it is always living in the past and imagining the future. To listen in an integrated manner requires you to be in the present, to be in the present means to be free psychologically of the past and future. This requires you to have an inner psychological revolution, a revolution of the mind, to have an incredibly alert mind that lives moment to moment without clinging to anything. If you really learn to listen with great awareness, attentiveness, and affection, it can become an incredible learning experience. This type of learning is not how we typically learn, which is just to accumulate knowledge. Accumulation simply leads you to be imitative. Knowledge is old, it is already known, and this type of learning experience is your own direct insight into reality, a vertical growth in your own consciousness. Life is never old, it is always new, it is a constantly changing dream, so please remember to listen with your whole being, or else you will miss the magic. Thank you for reading my article on the art of listening effectively, I hope it adds some value to your life. One of the effects of my past and education was that I realized that if I really listen to someone I learn so much not only by the words they share but about the speaker too. My friends joke that I am psychic but the reality is that I just really listen to what people say. To just not pay attention to every word is kind of rude and sad because a person will miss out on so much. 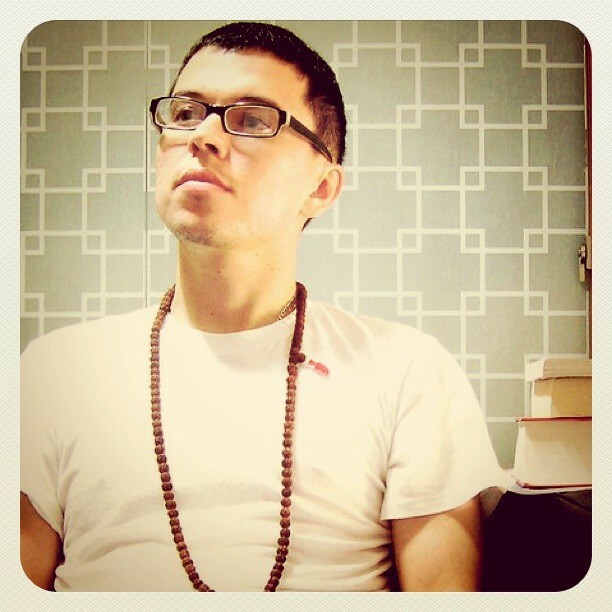 .-= Ivan Campuzano´s last blog ..Listen Up: We Really Need To Learn How To Listen =-. It is amazing when two people cannot understand each other can actually communicate with few words. When people really listen, it is amazing how much information we can convey when we observe and listen. Great article. Even though I know through experience that this stuff is true, it’s so great to be reminded. I love the line ‘listen with your whole being or else you will miss the magic’. Life is full of magic and miracles and when we give ourselves to the moment, that’s exactly what we can experience. Yes listen & expect miracles! .-= Julie Mann´s last blog ..Gratitude =-. Yeah! One of the effects of my past and education was that I realized that if I really listen to someone I learn so much not only by the words they share but about the speaker too. Really awesome post! I learned a lot from here. It’s been a great experience to drop by here and read some wonderful post like this. Listening can be part of our daily learnings and progress. By listening, we can get ideas and knowledge with other people. Hi Ivan. That is such an important post, and a point I forget, then occasionally remember, over and over again. I guess we Westerners are brainwashed to thinking we have to be DOING something all the time, which keeps us out of the NOW, and also stops us from receiving too. How are you doing with the floods in Thailand? If you ever come to Japan (I’m in Tokyo) lets meet up. Thanks for your blogs. They keep me going. They are articulate and soul-brimming.